Zem's Hearing Protection 31 db. The SensGard ZEM SG-31 was designed for high intensity noise environments. Recommended for any noise above 110 decibels, the SG-31 offers the patented Zwislocki protection from damaging noise while allowing speech and other useful sounds to be heard. 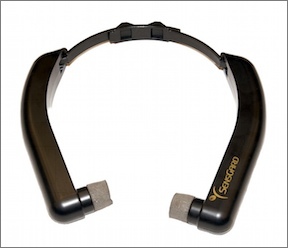 Locking nylon headband positions the SG-31 firmly and comfortably on your head.